It’s well known that NV really excels with emission nebulae allowing you to see things from a LP site that big dobs can struggle with at a dark site (eg horsehead or the cone). However, there’s not much around in the way of emission nebulae for me in the UK at the moment, so I’ve been experimenting with galaxies. 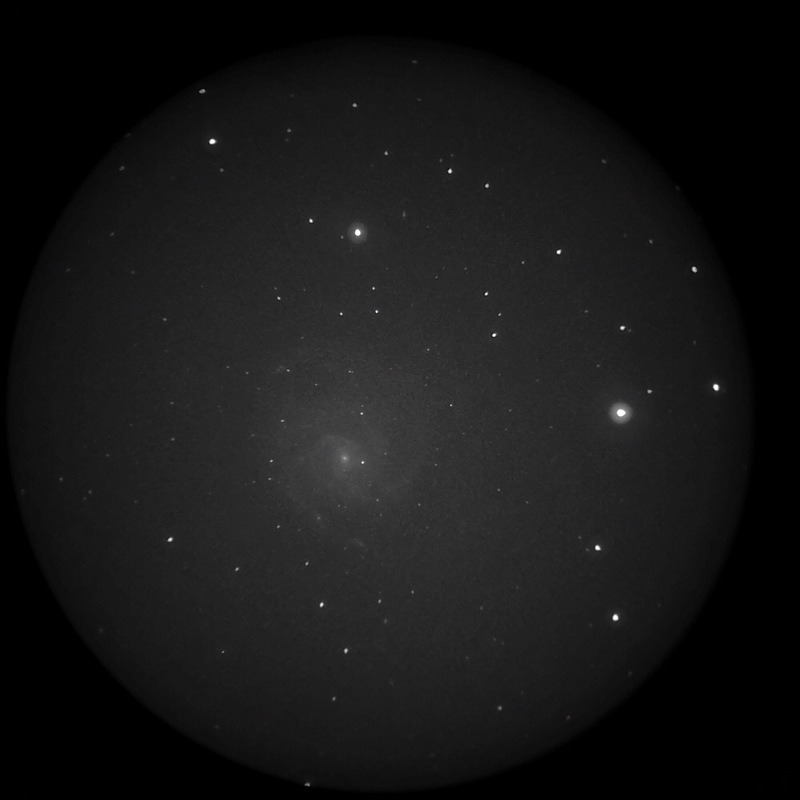 Given the majority of my observing is from a LP site with refractors, galaxies are generally off the table for me. However, I’ve been pleasantly surprised with the views through my C11 with NV and afocal 55mm and 32mm plossl using a 685 filter. Some photos with my new Samsung S9 are attached. These are unprocessed, 10 second exposure with a low iso of 50. Needle, Sombrero and M82 galaxies. I’ve been having a lot of fun with this setup! Edited by Gavster, 15 March 2018 - 11:51 AM. Somewhat similar to the views in my 25". Well done! I've been very curious about the effectiveness of increasing image scale and using a longer long pass. Looks like you're on to something here. I picked up the 685 lp, hopefully weather and schedule will coincide soon. It's been a long and unproductive winter. How is the visual impression compared to the cell phone captures? Have you tried this on more galaxies and different morphologies? The photos are a bit sharper than the view at the eyepiece but still very nice. 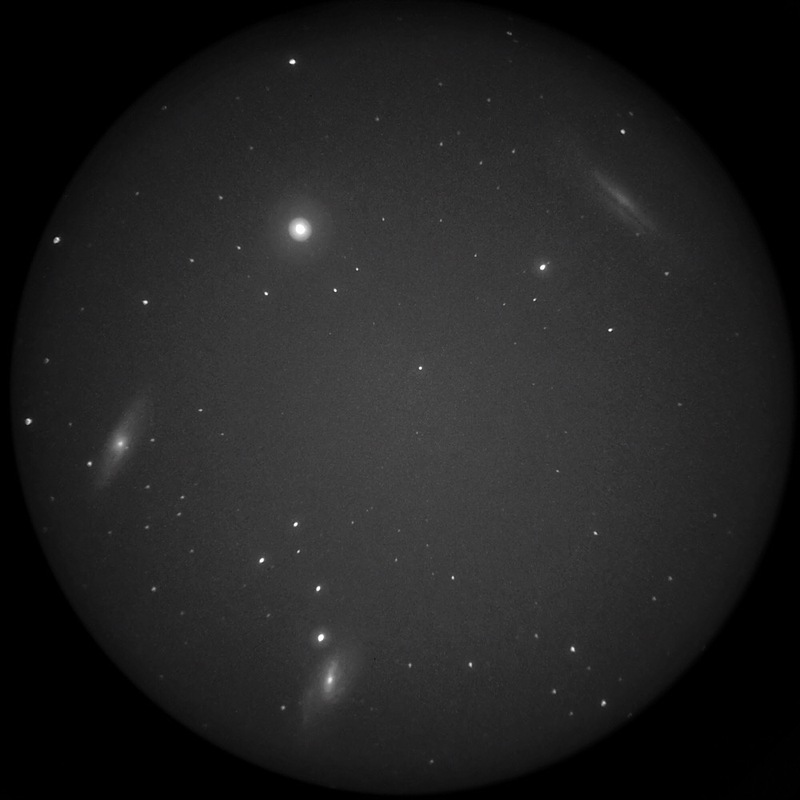 So far I’ve only done the main galaxies such as Leo triplet and markarian’s chain. I ran out of time the previous evening and it’s been pretty rainy in the UK recently, limiting opportunity. M51 is a bit disappointing since the spirals are barely visible. But I am viewing from an 18 sqm site. I've been comparing 610nm and 685nm long pass with my filter wheel on a few galaxies. In my white zone the 685nm definitely brings out the contrast better. I find I'll switch to a 610nm if I barlow up to allow more light in. Gavster, what NV tube are you using out there in the UK? Edited by Clutch5150, 15 March 2018 - 03:29 PM. Photonis 4g - this seems to be the best option for us in Europe. The other night I was out using my NVD Micro and Mewlon 210 (2,400mm FL) and these images are close to what I remember seeing visually except the visual view appeared sharper and M82 was more detailed/knotty. Well it’s nearly a year since I made the original post and galaxy season is back. Its interesting to see how my phone photos looked then. I had a good session last night and managed to get some lovely views through my 11 inch sct with 55mm plossl and night vision monoculars. All the following images are 8 second exposures with my huawei p20 pro. 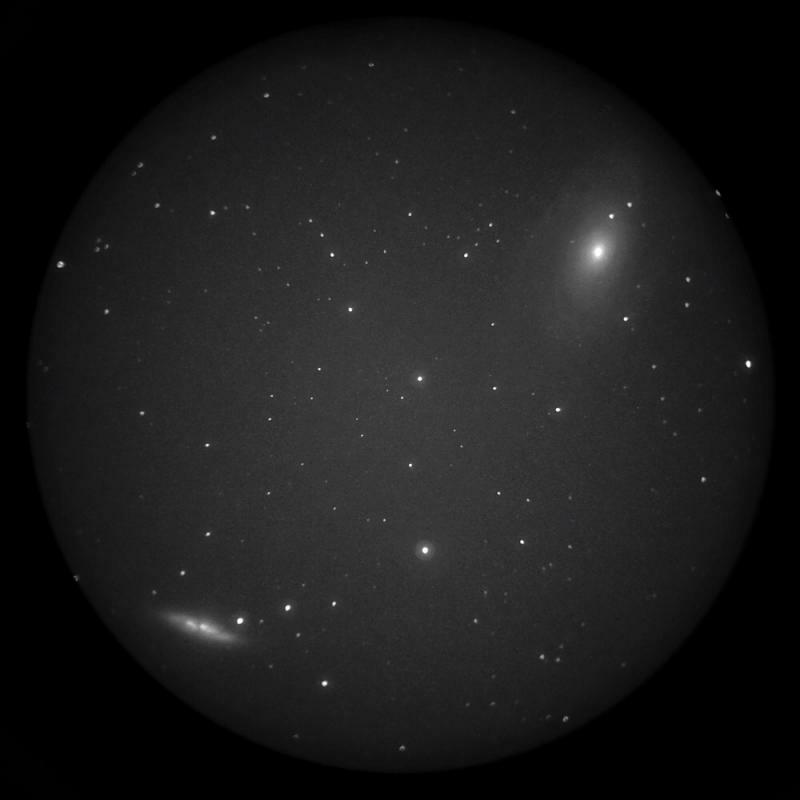 In order of sequence they are m51, m81 and m82, leo triplet, m110 and m106. 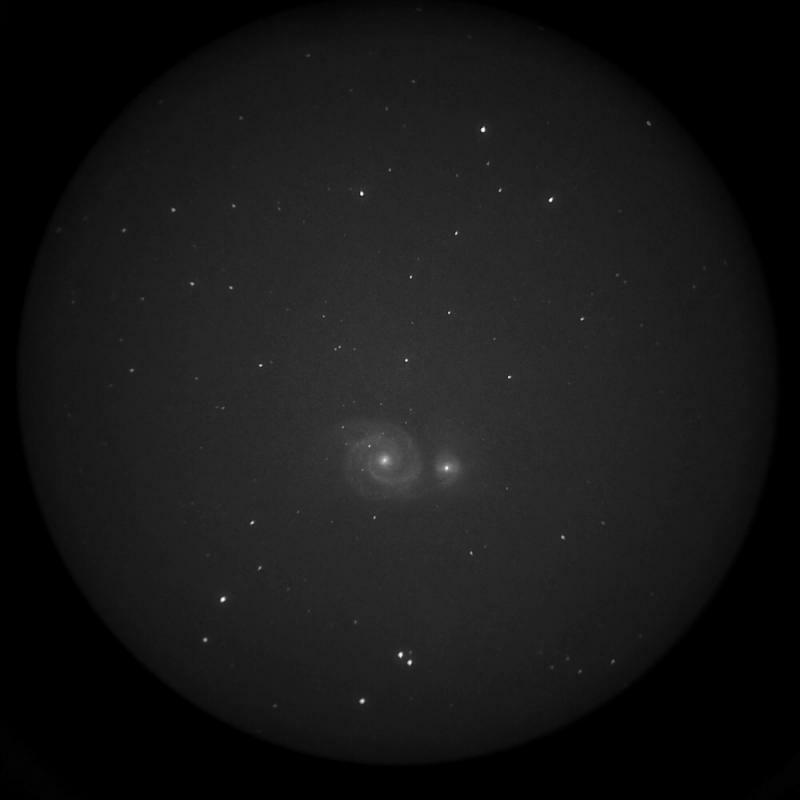 As I said last year, night vision isn’t that much of a game changer for galaxies but it’s a lot of fun, particularly with aperture to get some decent image scale while keeping the system speed quite fast. I see a definite improvement... these new images are rich with detail. I have been wanting to get out for some galaxy observing, but we've had one storm front after another and fog in between. I'm hoping to get out soon with my "big" 8" Newt. 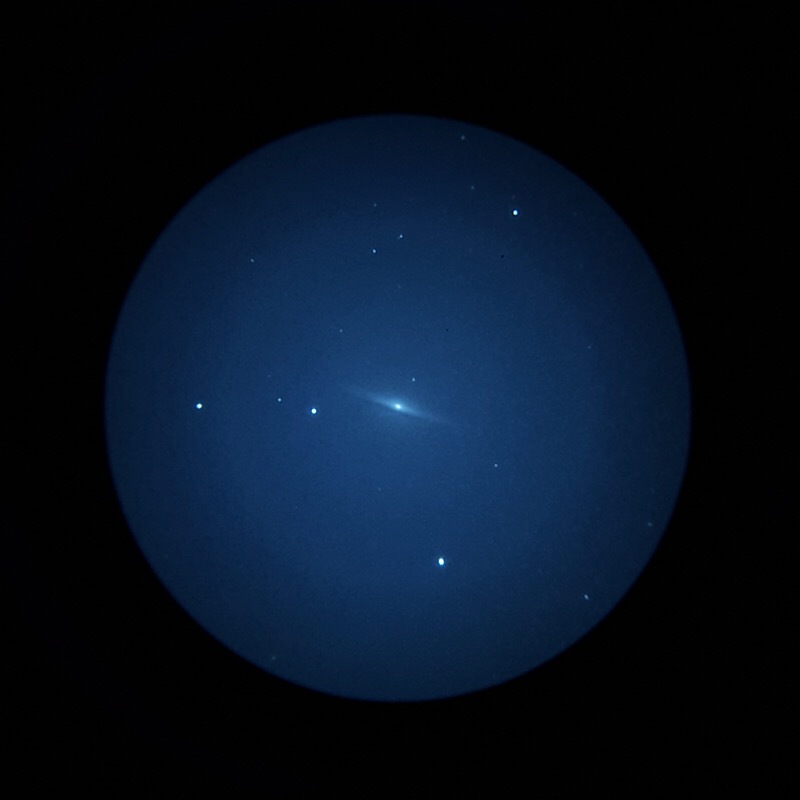 Aperture definitely makes a difference on these small, dim targets and the only galaxy images I've taken to date were with my 120 and 140 fracs, which come close to your older images but not the new ones. Now, I plan to wait until iOS 12.2 is released which will allow me to double my exposure time from 1/2s to a single second and will allow for even higher ISO boost. It will be interesting to see what that change will generate. I really like your image of M51... my best shot of it was through my 140 from a dark site in New Mexico last year... it hints at the detail in your image. When I clicked on and expanded your image, the bridge between the galaxies is easily seen. This degree of detail is really astounding when you consider that the image was taken with phone in just a few seconds... thanks to NV. Ray, M51 was stunning in the eyepiece. 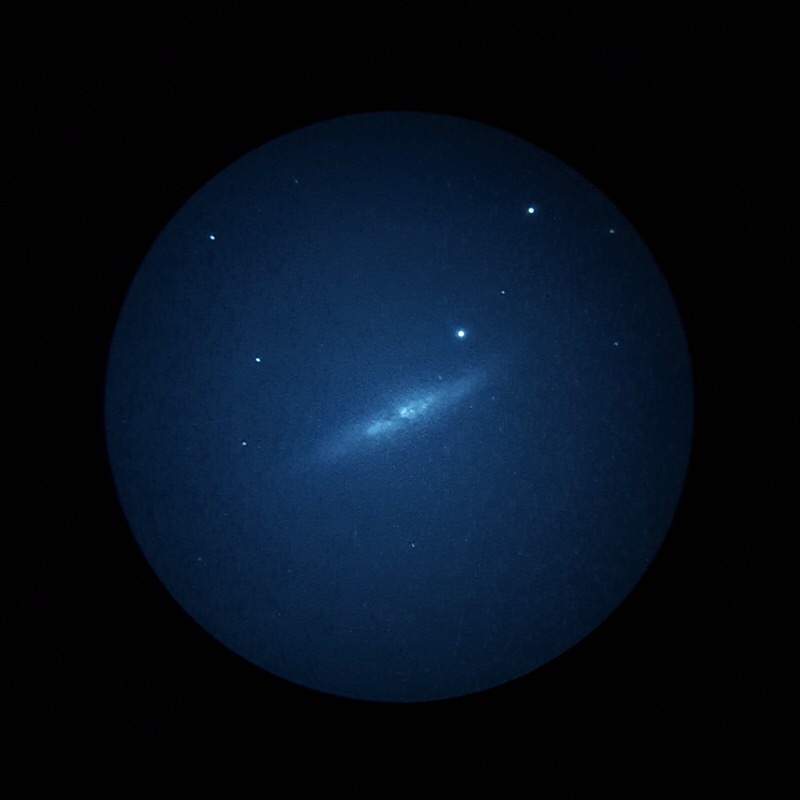 Best views I’ve ever had by some way - the spiral was very detailed - my new favourite galaxy. The images last year were done with a 685 filter whereas these were unfiltered - I think that helped. The Leo Triplet was also fantastic visually - the dark lane running through the 3rd galaxy was clearly visible- something I haven’t seen visually before. 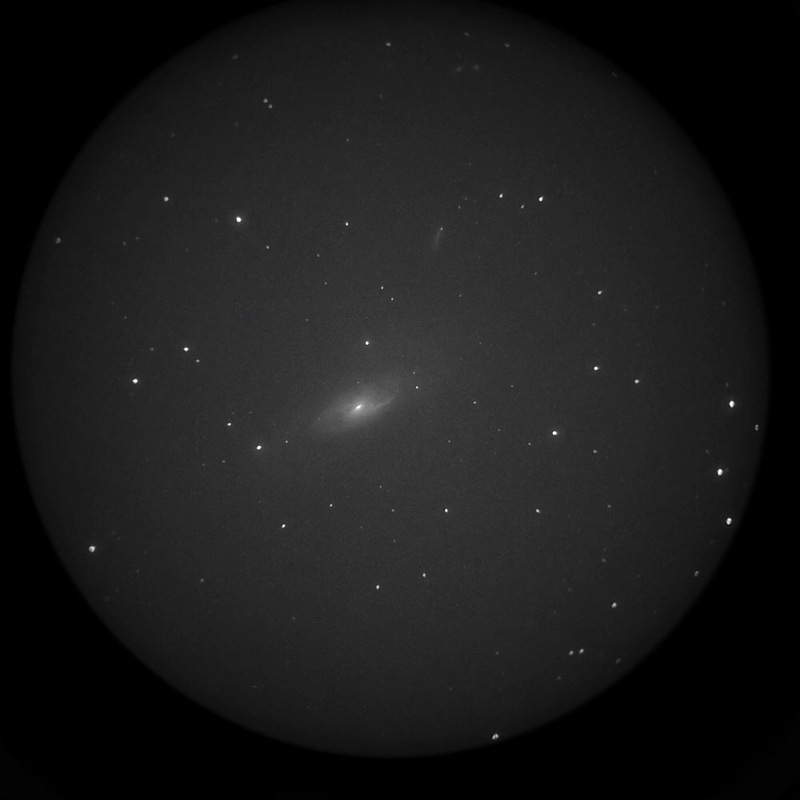 I had a look at m81/82 without NV and the views were nowhere near as good as with NV, some galaxies are definitely more suited to NV than others. In the image above m81 is showing a big spiral, again I haven’t captured this before. The pinwheel galaxy was a bit of a disappointment- I was expecting it to be brighter and the arms more obvious. 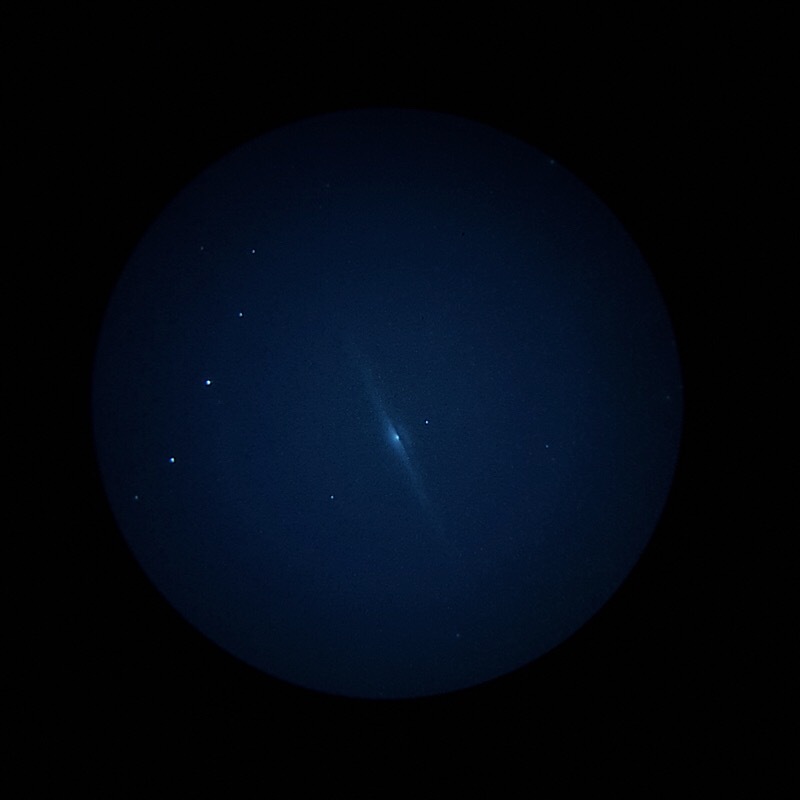 Looking at the image of m106 I noticed that I accidentally captured another 3 galaxies in the same fov including a faint pair near the top of the image. I would also add that the latest version of the huawei phone no longer has a specialist monochrome lens included which I think is a shame as using this lens has really made a difference to my phone photos. Very nice, nothing like intensified astronomy!! That WPT looks great... what kind of tube do you have on your NVD? It’s a european one - harder digital Gen 3 with a pvs-14 body. Very nice, looks great! Thanks. Clearly, your results are spectacular Gavin. M51 did look good to me through my 140 but nothing like your image which looks more like I saw it through Mike P's 20" Teeter with the fast Lockwood mirror using my NVD at the New Mexico dark site last year. Aperture does rule, even with NV. It is too bad that Huawei has decided to eliminate the monochrome lens/sensor from their smartphone. Seems like that combo was MADE for astro phonetography! Have you tried using the color, 40mp main lens/sensor for phonetography? And, when you assemble the C-11 for use, you use a diagonal with your NVD setup, don't you? I’ve only used the colour main lens for the recent shots of the lunar eclipse, never with NV. I guess the new huawei will be ok with the mono electronic mode using the colour lens but have to say I’m pleased I managed to get a huawei with the actual mono lens. Yes I use a diagonal with the c11 for comfortable viewing. Live visual observing is the priority for me with the phone photos taken to make a record of my visual sessions. However, like you, I do like looking back at the images to see what else I can see such as the other 3 galaxies in the shot of m106. I had a look at their website and couldn't make head nor tail of the options. For the UK what set up would you recommend; do you have a link to what you purchased, and what sort of budget would I need? 55mm televue plossl to get the focal reduction (eg turns my f3.3 Tak Epsilon into an f1.6 system - magic for nebulae). I've also got a﻿ 41mm panoptic and a 32mm plossl for extra magnification but this results in higher f ratio so you lose brightness. NV also gets expensive if you want to look at﻿ both large and small objects since in order to keep the f ratio low you need to change telescopes to increase image scale. Hence my purchase of the C11 to try to get some higher image scale on galaxies. I use various size refractors and reflectors with my NV depending on which objects I﻿ am looking at. I've also got an AP photo visual reducer to reduce the f ratio of some of my scopes like the c11 by around 0.75, ie take it down to f3.5 with the 55mm plossl (as per the latest galaxy images above) to try to﻿ get even more light (at the expense of less magnification). I shall have to start saving straight away! I was do wondering if the focal ratio had any effect on NV like it does on EAA sensors because you are viewing in real time: Wow f/r 1.6 is hyper fast. Would a Fastar reducer lens in place of the secondary mirror work on your C11, or do they mess up the resolution? A nice little C5 could potentially make a grab-and-go lightweight set up with the fastar reducer: I believe f2 is possible. I’m not sure but I didn’t think the fastar reducer would work for visual use? From my experience, the key to getting arms out of galaxies WITH NIGHT VISION is that the galaxies have to be BRIGHT. After my initial testing (april 2018) I thought that the galaxies had to be large too (over some minimum size) but this has proved incorrect as recently I have seen beautiful sharp arms in tiny BRIGHT galaxies. Edited by alanjgreen, 06 February 2019 - 07:48 AM. For galaxy arms, focal ratio is critical. Thats why we are using the 55mm Plossl (acts as a 0.5 reducer) - I get f2 on the dob and f2.8 on the Borg. NV can get more out of your existing scopes but you will likely migrate to buying faster focal ratio scopes - the scopes dont have to be expensive, cheap scopes are fine as with NV we are only using low magnification. Edited by alanjgreen, 06 February 2019 - 07:31 AM.